Beverly Hills is well known for movie stars, high profile parties, and the world’s most exotic brands, but we are not without our secret hideaways. Bar Noir at our boutique Beverly Hills hotel is created in the tradition of the salons of Paris and the speakeasies of the prohibition era. The rich interior and cozy chairs create the perfect place for a quiet conversation or a drink before hitting the town. 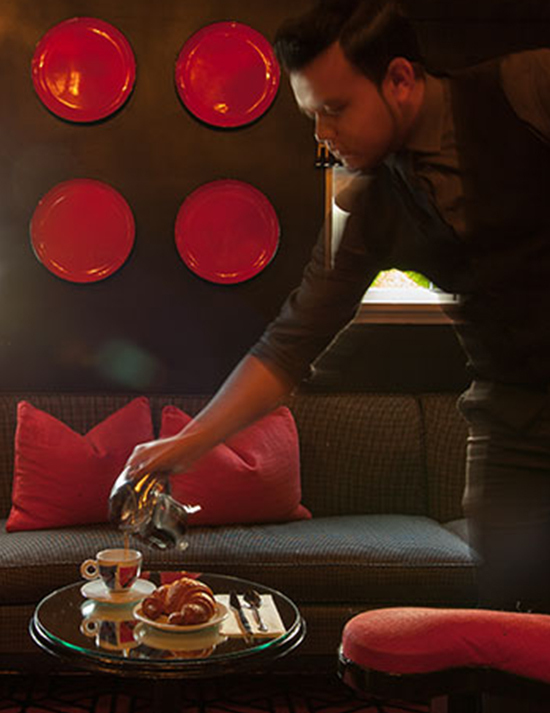 Enjoy complimentary coffee and tea in Bar Noir each morning. Invite your local friends for a drink during your stay at our Beverly Hills hotel, and you'll be introducing them to a hidden gem.